Local news: new primary school intake; former teacher, Rev John Cairns Christie, to be Moderator for Church of Scotland; report on Tiree Access Steering Group meeting; letters to the editor – year and names in photo in issue No. 453; call to nominate Skerryvore for Trad Award; forthcoming An Iodhlann AGM; boat restoration and building project launched; report on Youth Club meeting; Feis Thiriodh news; cinema news; community Powerdown loans; letters to Alan Reid MP regarding volunteer firefighters; health and wellbeing event; notice of outdoor clothing supplier visit. Local news: Tiree’s voluntary firefighters; Tiree 10K success; blind art exhibition to raise funds for Baugh Church re-development; Windsurfing club swim clinic; vacancy for Tiree Ranger/Access Officer; new prescription forms from Baugh surgery; acknowledgment of Prof. Donald Meek; dinghy sailing course; visit by/to Spirit of Adventure cruise ship; reporter’s notes about the exasperation of locals to visitors’ careless driving; notice of public consultation for draft Crofting Reform Bill; composting tips; letter responding to a criticism of the ‘Cows for Africa’ sponsorship drive; request for helpers for An Talla. Letter dated July 1971 from Firemaster Robert Herbert of the Western Area Fire Brigade, Johnstone, to Volunteer Fireman Duncan MacPhee of Scarinish, praising his actions at a fire in Scarinish and notifying him of an ex gratia payment of 50p per hour. Two DVDs (part 1 and part 2) of a Channel 4 documentary ‘Edgeland’, produced in 1986, about new crofting legislation, the Crofters Commission and the future and history of crofting in the Highlands and islands. Topics include the Crofters’ War, peat cutting, mussel and salmon farming, fishing, forestry, the Cruachan Dam, the Invergordon smelter and the Outer Hebrides. Part 1 includes footage of Tiree and interviews with local crofters Alec MacArthur, Heylipol, and Alastair MacInnes, Ruaig, and one with Peter Fairweather, the factor for Argyll Estates. With scenes of Balephetrish, hay-making, sheep shearing, a sheep sale at the old auction mart at Crossapol Farm, Balemartine, the airport, plane and fire service, Balephuil and Ruaig. Black & white photograph of Fire Service personnel at an event, possibly an award ceremony, at the Lodge or Scarinish Hotel around 1990. Back L-R: Fire Master J Jameson; Councillor I Bell; Volunteer Leading Fireman Stewart Langley, Kirkapol; SDO Martin, Volunteer Leading Fireman Ian MacLeod, Kilmoluaig. 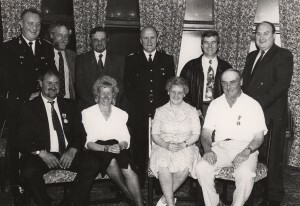 Front L-R: Volunteer Fireman Alasdair MacDonald, Mannal (wearing a medal); Mary Flora MacDonald, Mannal; Mrs Josie Fletcher, Balemartine; Volunteer Fireman John Fletcher, Balemartine (wearing a medal); Vice Convener J Donnolly. Local news: Bootcamp fitness; interview with Kate MacCallum; firefighters; catering at Oban High School; agri-plastic recycling; goose management scheme. Printed compiled list of archival items using `Tiree` as the search term from an unknown source. 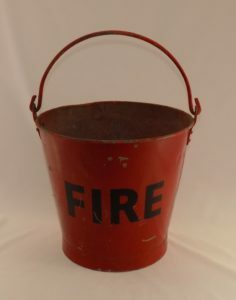 The list includes items from several different archives and may have been created from the CommunityArchives.org website. 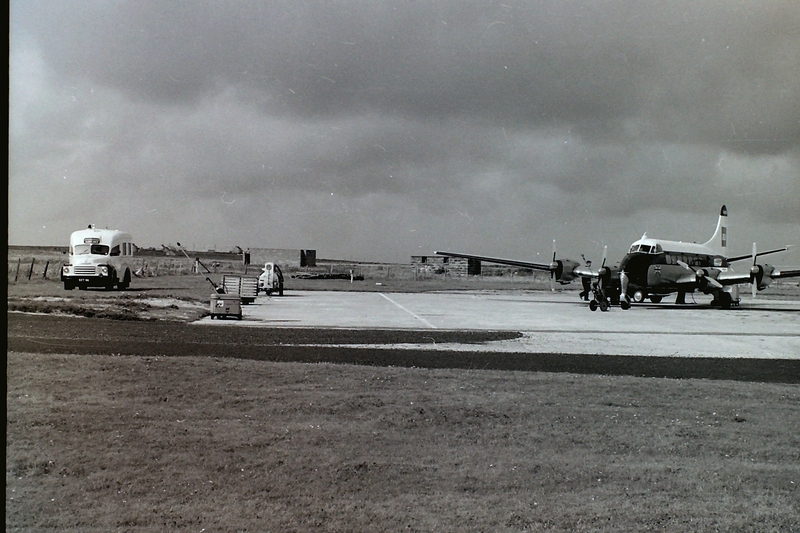 Photograph of the passenger plane at Tiree Airport in 1966. 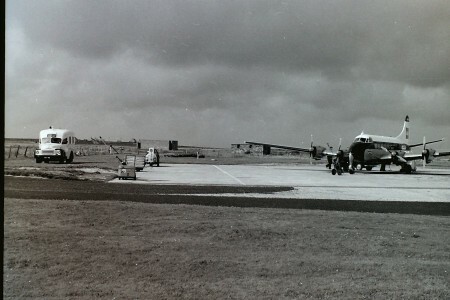 Black & white photograph of the BEA DH Heron passenger plane on the tarmac at Tiree Airport in August 1966, with an ambulance and fire equipment standing by.